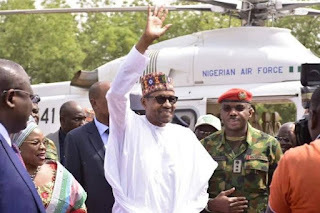 Amidst the wrangling tailing President Muhammadu Buhari’s Re-election, seventy-one retired army generals, admirals, marshals and former military governors/administrators have thrpown their weight behind the President’s re-election bid. The endorsement by the generals was communicated on Monday in a courtesy call at the State House, Abuja. Speaking, Buhari reiterated his main objective in contesting elections four times and ending up in Supreme Court three times, before he finally won the election in 2015.